Hugh William Stewart is a fashion designer whose practice is multidisciplinary, working across many fields such as performance, styling and creative direction. 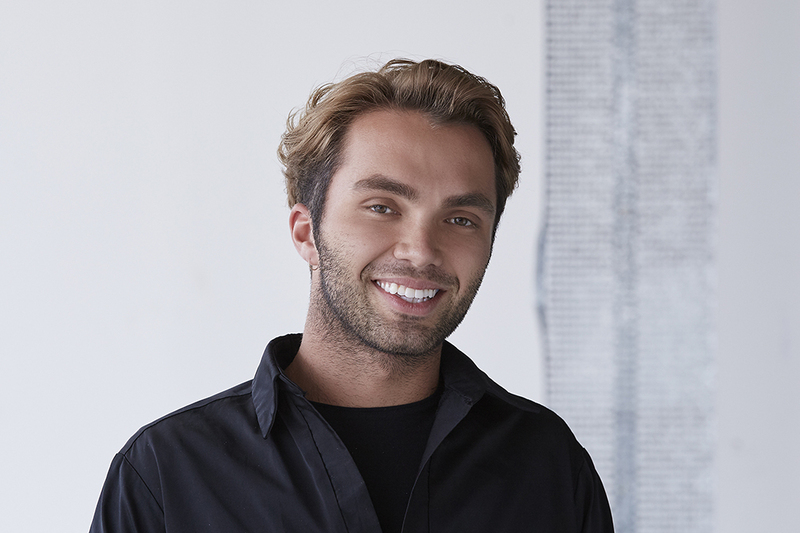 Currently completing a Master of Fashion (Design) at RMIT University, his undergraduate studies were in a Bachelor of Fashion Styling and Creative Direction in Sydney. His styling practice has involved projects with publications such as Oyster and Vogue. The exploration of the differences between design and styling have been the focus of his Masters project. The collection refers to the way a stylist intuitively and sometimes randomly selects many types of garments, fabrics, objects to create a certain ‘look’ or moment.